Look no further than Dr. Jon Mendelsohn, a double board-certified facial plastic surgeon specializing in facial plastic surgery and non-surgical facial procedures. Dr. Mendelsohn is proud to be board-certified by both the American Board of Facial Plastic and Reconstructive Surgery and the American Board of Otolaryngology. Discover how the experience, skill, and sensitivity of Dr. Mendelsohn combine to help empower patients and enhance their lives. What separates Dr. Mendelsohn from many other facial plastic surgeons is his ability to capture the natural beauty potential of the individual patient, based on each patient’s personal aesthetic goals. His surgical artistry, combined with advanced techniques and a caring touch, has set the standard for excellence in facial plastic surgery and non-surgical aesthetic procedures. Dr. Mendelsohn also lectures nationally, and has published articles in numerous medical books and journals, as well as in the lay press. He is in frequent demand as a speaker to groups of medical personnel, general public, and local community organizations. Dr. Mendelsohn also demonstrates his artistic skill with his techniques in using non-surgical options, including BOTOXTM Cosmetic. His intimate knowledge of facial musculature provides precise and predictable results, affording patients with a natural and refreshed appearance. He is a National Education Faculty member for Allergan, the maker of BOTOXTM Cosmetic, and trains physicians from North America in the art of safely and effectively administering BOTOXTM Cosmetic. His expertise also extends to treating patients with injectable fillers, helping patients to achieve a renewed and refreshed look. Dr. Mendelsohn is experienced at using fillers to plump and fill individual lines in the face, augment the lips, and replace fullness under the eyes and throughout the face. He is a Juvederm Speaker for Injector Roundtable Programs, and a prior Consultant and Speaker for Pharmaceuticals Corp., the makers of Restylane and Perlane. Dr. Mendelsohn and his team specializes in all microscopic follicular unit extraction (FUE) and follicular unit grafting (FUG), with special expertise in the repair of prior hair transplants, restoration procedures in men and women, eyebrow and facial hair transplants, and larger procedures where as many as 12,000 or more follicles can be transplanted. 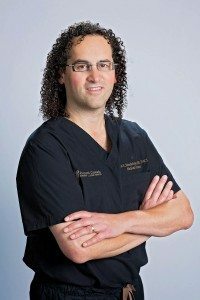 Given his extensive training in facial plastic surgery, he is unique in the hair transplantation field with his aesthetic background, and is able to offer combined facial plastic surgery and hair restoration procedures for those patients seeking a more youthful appearance. Dr. Mendelsohn has a special interest in laser treatments, and uses them extensively to resurface the skin, treat individual areas of concern such as veins and brown spots, as well as to remove unwanted hair. We invite you to explore our website to view examples of Dr. Mendelsohn’s results. We also encourage you to read testimonials from our many satisfied patients who have undergone facelift, rhinoplasty, eyelid lifts, and other procedures, and learn how their lives have been positively changed by Dr. Mendelsohn.